Mixing believable, workable skin tones is a skill that many painters strive for. Because most portrait painters rely heavily upon value (not color) to set up the composition and likeness, the use of earth colors is often seen as easiest and quickest, but when you do it this way, the excitement and expression of color can be lost. 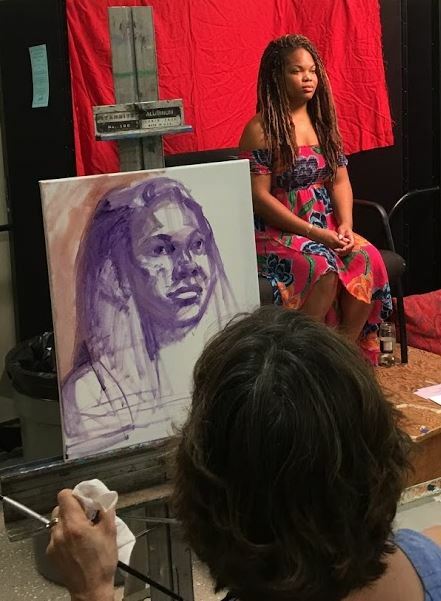 This class will concentrate on color in portraiture. Each class session includes one long pose. This format will allow students to work toward finishing studies. This class is not for the beginner.